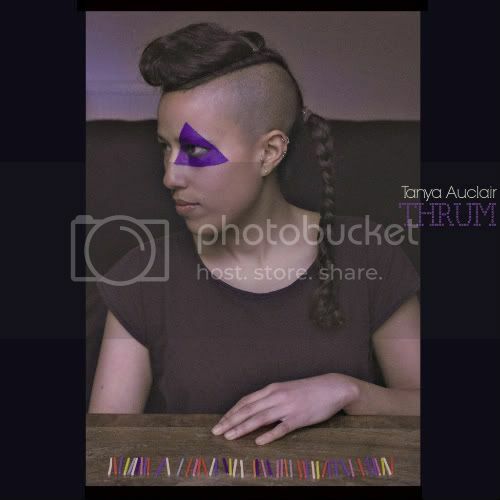 We are so honoured to present Thrum for free download, the debut EP from Tanya Auclair, an exceptionally talented singer/ songwriter from London. If there's one thing I look for in new music it's originality - not just for the sake of it - but an artist with a really unique perspective who doesn't give in to easy clichés. I don't speak lightly when I say that is a rarity (you can check out my inbox if you need proof), and I think Tanya has something special when it comes to penning a song. This might not be everyone's cup of tea - it's organic, quirky, experimental and lo-fi, but I love it and think it's really exciting, and I have a feeling that the people who come to PMOI expect something a bit different. My favourite tracks are probably Plane Trails because I feel as though I'm in the backseat of the 205 with her, and Closer for its gradual intensity. I can't wait to hear them all live at Soundwave Festival this weekend on the PMOI stage!